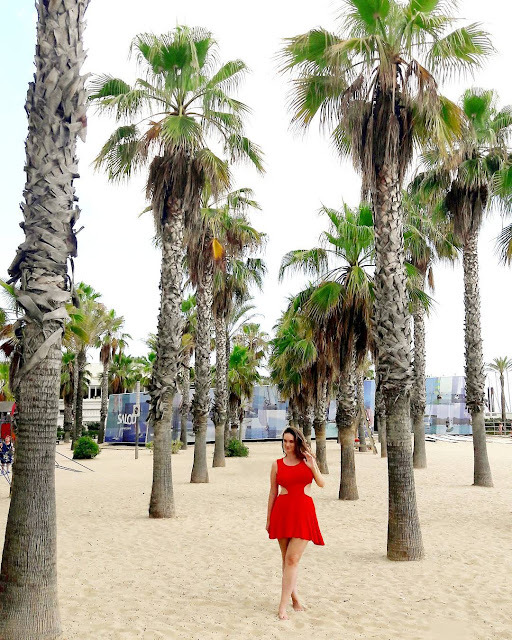 In my previous posts, I’ve talked to you about Sitges and Calafell – now I’m going to show you my adventures in Salou… what’s much more than a big party place! Why is it worth coming to Salou? First of all, I’m sure that most of you heared about Salou, as the biggest party place in Spain next to Ibiza, and that’s might be true, but if you are not interested in partying I would still recommend it, especially if you have few more extra days in Barcelona and don’t want to spend it on the city’s dirty beach! The beaches are amazingly good here, they are clean and child friendly, the people are nice, there are not so many tourists, the transportation is good and if you prefer renting a house or an apartment near to the locals during your holiday, this is totally your place! Above all, Salou have one of the biggest – and most beautiful – seaside promenade in Europe, so if you like walking around you will love this place! 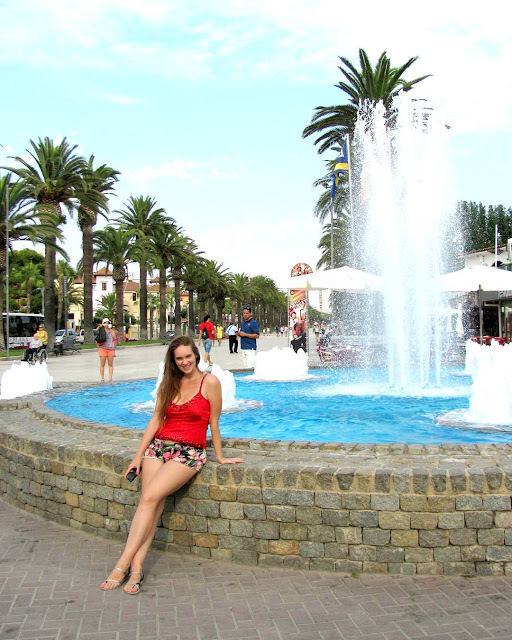 I have to tell you, I’ve been in Salou many times – so like my family! My grandparents drived along from Hungary to the Gibraltar in the ’60s and they loved it so much that my parents came here back after 20 years as well. They visited it first around the ’80s and when me and my sister was big enough, they bring us with themselves as well. so, I have to say Salou is kinda close to my heart, even if I don’t visit it every year, as often as before. I actually have my best memories from Salou, when was 14 year old - I was kinda amazed how busy it is at night, because everyone is on the streets after dark and during daytime everyone’s sleeping! Kinda crazy, but Salou still have this type of behavior, so I always loved hanging on the beach when there were not so many people around. I also got my first evening gown from here and this was the first time when I saw the nightlife with my own eyes. What should I say, I’m not a big party girl, I’m not interested in drinking and sitting next to the bars at all, but somehow I STILL LOVE Salou. I tell you why. As a young adult, I have to say that the whole city is very young. You won’t find many elderly people here and however the locals getting their kids to the beach and to the promenade all the time, the tourists don’t bring their kids here – it can be a bonus for many people. Despite this young age, the city is not like Mallorca’s Magaluf… it’s not like that. Yes, Salou have discos and bars, but they do it in a nice way, not in the most disgusting way what you can imagine. Because of the lots of tourists, Salou is kinda rich – the beach is totally clean and there are many possibilities to have fun on the beach, what’s very nice as well. There are also many restaurants, so like shopping possibilities, so you can shortly never get bored here. Salou have one of the best beaches in Barcelona’s area, so I highly recommend it! My favorite area is at the beginning of the promenade, behind the fountain and the local harbor (where this photo was taken – it had a great Caribbean feeling), next to the children’s playground, the first aid stand and the free WiFi place – probably you won’t get lost! The beach is white sandy, clean and cultured, you have to walk for a while until it gets deep, so it’s perfect for kids as well. Also, there are lots of lovely beach bars. Unfortunately, last time when I was here, in 2017 jellyfishes bit many people around me, so I was not really into bathing but I guess It was a bit timing, because I never experienced it before that. Have you ever been in Salou? Tell me your experiences on comments or send me a message to my email (gretta@gretta.hu).